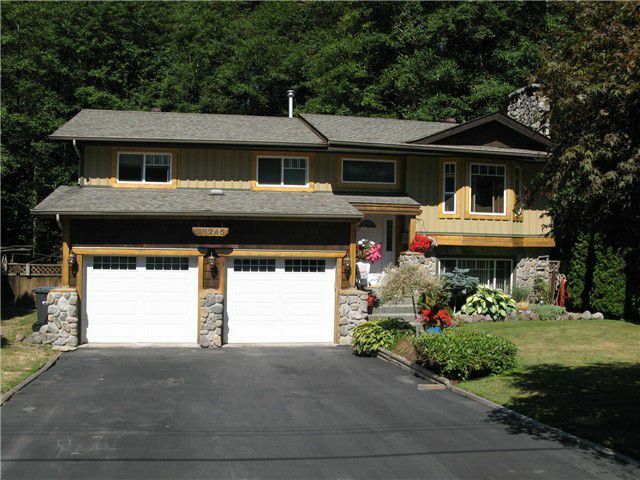 Backing onto a creek offering total privacy- Upper Valleycliff- 4 bedroom & den 2.5 bath dream home! Fully updated! Open kitchen with granite counters, custom cabinets, stainless appliances and a walk out deck with oversized steps leadingto the beautiful gardens, creek & park crown land. Downstairs in the home is an extra large rec room, dream laundry room and the 4th bdrm. Double car garage w large double wide driveway. The large back yard is a sanctuary with total privacy and mature perennial gardens, fire pit, covered wood shed and an old funky utility shed used for extra storage. Easy commute to Vancouver from the most southern neighbohood of Squamish. Call today for your families next stage of life!